The Christmas tree candle sits inside a fluted wax catcher, which doubles as a clip. 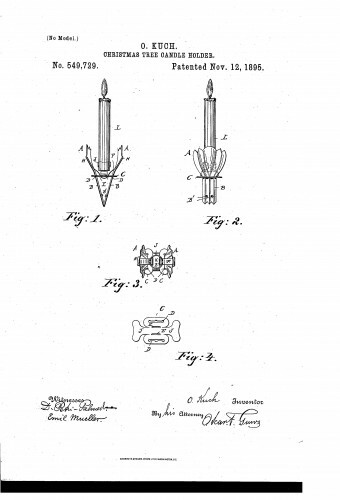 Patented in 1895. From Collection of Christmas Tree Candle Holder Patents. Credit: www.christmasgiftsfromgermany.